Although many think that Ogden Nash penned this little ditty (or a variation of it), in fact its true authorship is unknown. Whoever created the cheerful rhyme may have done so on a day like today, where we have been liberated from a deep freeze and skyrocketed to a blistering 12ºC. Sunny and almost too bright, I might add. 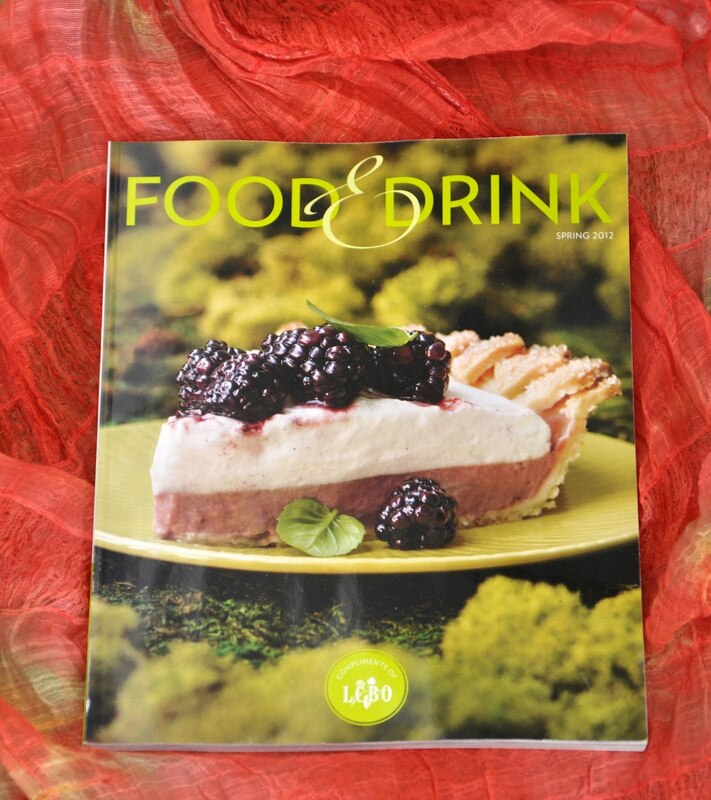 What a perfect day to pick up the newly released Spring issue of the LCBO Food & Drink magazine. Trend Spotting by Nancy Won highlights the hottest foods and drinks for the coming year. My take on her list? It is a fun read. Of course I felt wooed by some of the delicious accompanying recipes (even if I have to wait until late June for those garlic scapes) –Sweetbread “Double Down”; Garlic Scape and Spinach Salsa with Chicken; Bacon Smoked Cheddar and Tomato Crostini with Asparagus; Fire Roasted Shrimp with Guacamole and Chili Honey. Are there any trends you see coming that should be added to Nancy’s list? Lastly, I have to give a shout out to Sandra Van Aert, organic & free-run egg farmer from Watford, Ontario. (Approximately 60 kms west of London). She is a second generation farmer at that! Sandra is featured in Cynthia David’s Spotlight segment called The Shell Game. I just can’t imagine housing 24,000 hens. Back in my day, all our hens had names. Unfortunately you will not see ‘Van Aert’ on an egg carton. Something that I hope will change as more and more consumers are wanting to know their food source and who is being entrusted to deliver a superior product. Hey Sandra, I prefer my eggs soft-boiled too! Plan ahead: The Early Summer issue hits the stores 8 weeks from today on Wednesday, May 2nd.